For most businesses in glasgow with any sort of online presence being at the top of google search results is an attractive prospect. The brand exposure and increase in sales due to good SEO are well known. However finding the right company or person to get you there can be a challenge. Now although I have this article in mind for Glasgow or central Scotland based readers in truth this information can be applied anywhere in the SEO industry. So what should you look for in your prospective SEO provider? What websites have they ranked in the past? They should have examples for you to look at of websites that they have ranked in the past. This is very important as talk is cheap whereas results are everything. You should walk away at this stage if they can’t show you any examples. How long have they been doing SEO for? I believe that they must have at least 2 years experience to begin to be competent. How much experience do they have with web development? Programming and technical aspects of website design. 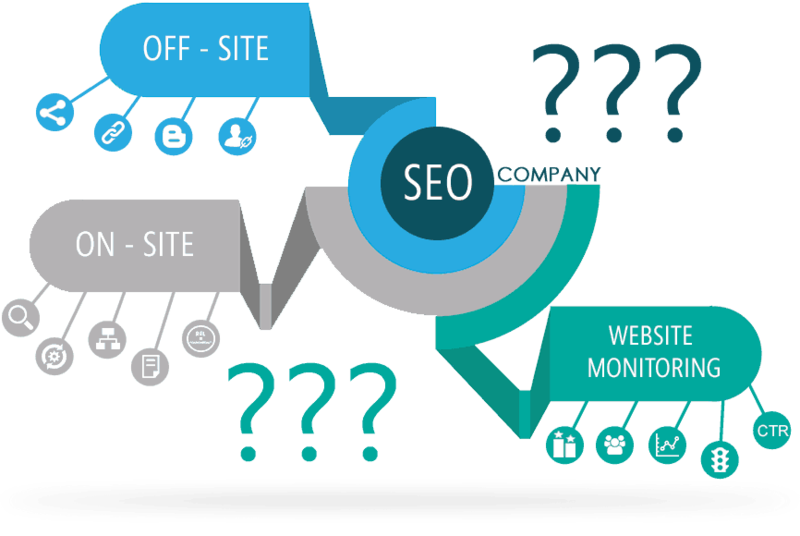 A lot of SEO ranking factors are related to technical aspects regarding website structure, load speed of pages, where the website is hosted in the world etc. Are they an agency with multiple staff or a 1 Man band? There is nothing wrong with using a capable one man band to do your SEO as long as you have confidence in their abilities but if your a larger firm then the scope of works may require more than one person. How often do they report back to the client with regards to the status of the SEO campaign? A monthly report is at the very least expected. I should add being too demanding with reporting is only going to increase the cost and decrease the time spent doing actual SEO but still some form of reporting is important. How keen are they to do your work? The best way to know this is to see how many questions they ask about your business and existing online marketing. At the end of the day you want someone who is keen and motivated to get results for your business. Now no SEO can give you an exact date till page 1 and you really need to give them time to rank. In my experience although websites can sometimes rank within a month or 2 most SEO projects take at least 6 months to rank depending on how competitive your market is (or how weak your online presence is). Client references is sometimes worth asking for? A good SEO in Glasgow or anywhere else in the UK for that matter should have clients willing to vouch for them. This is one of the strongest means of identifying the right company for you. Budget is the BIG one. This will be the deciding factor for many readers and of course it should weigh into your final decision. You see sometimes SEO companies charge a minimum £1000 a month which is okay if your turning over saying £200k a year but not so great if your a smaller business or startup. For example a window cleaner is usually not going to be able to afford such a service as their average transaction value is £10-£15 to clean someone’s windows whereas a building company specialising in loft conversions with an average transaction value of £10000-£20000 will happily spend that. One important point to consider is that the keyword you may be trying to rank for might have such a high keyword difficulty (basically how hard it is to page 1 for that search term) that the above example may not be as relevant. At the end of the day SEO is a time intensive job and if your keyword difficulty is high it WILL cost more to rank. Are there any guarantees on offer? Now don’t think I’m saying to you to ask for a guarantee. It’s actually the opposite. NO SEO company can in good conscience guarantee a page 1 ranking for your search terms. Google decides who is going to be on page 1 and who isn’t and it’s simply not possible to rank on page 1 every single time in a given time frame as it is to win on the stock market every time a 100 times in a row. A scenario can be that as you increase your SEO efforts and spend so does your better ranked competitor leading to a prolonged battle between you and them until one comes on top or both battle it out for a long time. Is it a local company in Glasgow or are they based elsewhere? Now most business people I know get emails regularly from India or other Asian countries selling SEO services. In my opinion buying such services is a risky idea as the potential cost savings are far outweighed by the risk of outsourcing your SEO work to a foreign company which can basically take your money and run. You have zero control left if you go with a foreign SEO based in Asia as they can do what they want with impunity. Going for a national or local SEO firm can make a lot of sense. Leaving aside the purpose of this article I must say finding a local firm can be the best decision in this circumstance as you are capable of actually putting a face to a name. Also local SEO providers are likely to have a better understanding of the geography of the markets your targeting and will have a “local knowledge” advantage. On the other hand a national SEO work focused company may have more experience in ranking nationally for example. Are you dealing with a registered business? Availability to answer calls or emails (now I wouldn’t expect them them to wait hand & foot on you but a prompt reply within 12-24 hours maximum should be reasonable to expect. Also there’s no harm in googling them to see if anything positive or negative comes up. Search engine optimisation in Glasgow is such a saturated field that it can be difficult to pick the right company as your not sure which one is best for you. This is complicated by the fact that their are a lot of scammers out there who will take money for doing nothing or do things that they’re not supposed to do. The problem is further compounded by the fact that there is no central authority or trade body for SEO’s in the UK where you can take up a dispute. However you really can’t afford to make mistakes with your SEO. SEO is an extremely important part of your business marketing and communications to the rest of the world. Getting SEO wrong can be as simple as wasting some time and money through to being outright damaging to your brand if SEO is done in a poor fashion as it can result in your website being penalised by google for spammy tactics and dropped in the search results. It is vital to get a good SEO. After reading this article I hope that you have a better understanding as to what to look out for when looking for an SEO company in Glasgow or an SEO service anywhere for that matter. Here at way up SEO Glasgow I believe we can satisfy most of your requirements. Do give me a call and I would be more than happy to discuss your requirements with you. 01413780881.